Loved by many Triangle area families, our summer camps are a must have in your summer plans! Week long camps range in age from preschool to rising 8th graders. 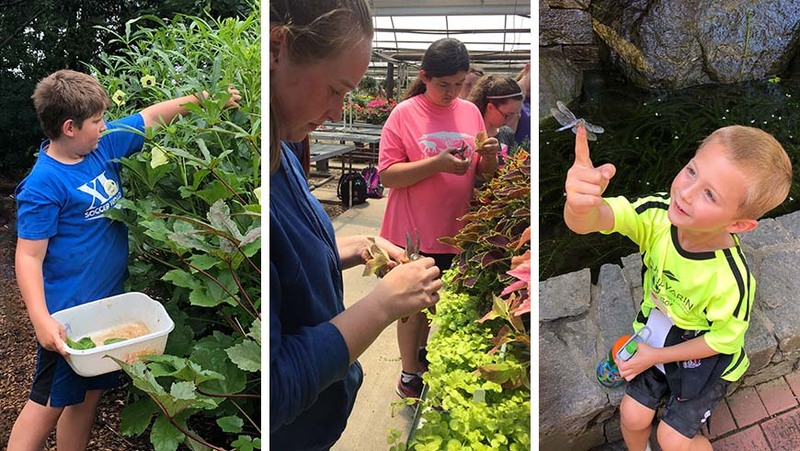 Campers explore the gardens for critters, cook up yummy recipes, solve mysteries, and create an art show inspired by the garden. Family members of the Arboretum enjoy two weeks of early registration beginning January 28, 2019 and discounts on camp registration. Become a family member to enjoy these and many other benefits! Registration links will be made available on each camp page when registration opens. If you register as a nonmember during the member only camp registration period, your camp registration will be voided unless you become a member. To learn more about our camps, visit our summer camp web page.